Get moving costs from man and van firms! No job too small or too big. Drop us a few info regarding your man and van requirements. 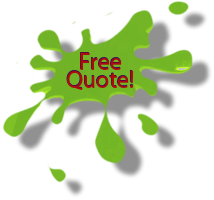 Receive quotes and compare. 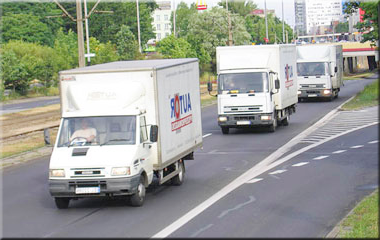 24/7 operation - short notice moves, pick ups and deliveries at affordable rates. - Are you looking to move just a few items or the entire content of your home? Compare man and van costs and get the best deal! Today, it is considered that the average tonnage capacity of a vehicle used for man and van services should be from 3 to 7,5 tons. And this is quite about right as that type of vehicles are most popular and most often used by the pick-up-and-deliver companies. Cheap man with a van services in London become year by year more suitable and popular to use by private individuals as well as by many organizations. Sooner or later, everyone faces the need of transferring his house content from point A to point B. For most people this task is very inconvenient and unpleasant. Londoners simply do not have time to do it. They are too busy with work. Also it is not an easy action as it is difficult to carry a couch, large wardrobe, cooker or a corner sofa on your own. And what about the packing materials and boxes? But this is not all! The biggest problem is to organize a proper size van so that all your belongings can be loaded and transferred in one go. That’s why it is a correct choice to trust the professionals. What you need is the London man with a van hire service. 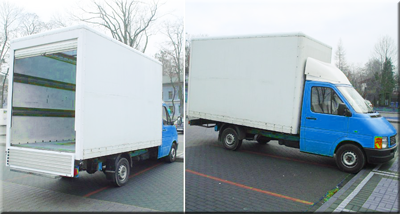 Hire man and a truck - "manufactured goods wagon" - metal body, capacity up to 7,5 tons, with a hydraulic tail lift in the rear. Gross weight of vans - Mercedes 814, Mercedes 817, Mercedes 1114, Mercedes Atego 815, Mercedes Atego 817, Mercedes Atego 1222 – is about 11000 kg. For easy loading and unloading 1 man with a van in London vehicles are equipped with a tail lifts. In a large city it is the best option for the transportation of domestic furniture, bags and boxes with clothing. Especially if the loading or unloading site is not equipped with special delivery ramps. The tail lift make it possible to adjust the levels in seconds. It makes the work easier and eliminate a potential risk of damage. Hiring a removal man and van equipped with a hydraulic lift allows the quick loading / unloading of any type of luggage, shopping bags, electronic equipment and other every day use items. In the absence of special loading ramp by raising and lowering the tail lift it is possible to use hand pallet trucks, trolleys and moving skates. And also when loading or unloading the van on uneven and different levels by tilting the tail lift to the angle of up to 45 ° you can create a smooth transition between the loading area and the level of the commercial lorry. 2 men and van hire reduces the likelihood of damage to your goods. The tail lift will gradually and smoothly lift up or lower any type of containers. Whatever furniture you have you can be sure that there will be the mechanical stress and shock will be minimal. Therefore your chairs, fragile, children toys, computer and TV will remain intact. Cheap man with a van London will ensure that the safety of the carried equipment of any degree of fragility have been preserved at every stage of the transition process. By hiring a man and a van which is equipped with the hydraulic lift the cargo can be loaded or unloaded everywhere and not just from the special loading ramps or storage terminals. Thanks to the experienced man operating a van with a tail lift it is not necessary to engage a large number of movers. This reduces the man van costs. Thus, renting a van equipped with hydraulic lift saves money and we guarantee the quality of transportation. Man and van firms have their advantages. 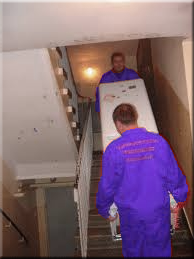 Compared with other large firms running removals in London the cost of small man van service is much lower. Small vehicle take less fuel, the drivers do not need the category C of the driving licence and therefore such conveyance alternative is much cheaper. Based on above criteria, we offer to the man and van hire using the Mercedes and Volkswagen vehicles as these producers do not need a special presentation. Everyone knows that cars of this famous automakers guarantee reliable collection and instant delivery of your books, kitchenware, bed linen and of course any type of chairs, tables, beds and chests of drawers. Also the hydraulic tail lifts are mostly manufactured by the lift platforms market leader Dhollandia which is deservedly considered one of the most reliable. We work with vans of this brand in other segments of the road transport: maintenance of tourist buses, cargo vans, courier services house removals London, road assistance. Based on our experience, we recommend using two man with a van driving a Mercedes. However other makes should be also considered for example Gazelle and Valdai vans. If you care about the timely delivery and the man van delivery of goods without any downtime due to the technical faults contact us today. If you decide to order the London man van with tail lift with us, our experts will work out the best route taking into account the road traffic, road works and will choose the most appropriate size of the van. This will significantly reduce the travel time and provide you with the cheap man van solution. For a better safety of your property in transit make sure you order a truck with "metal box". Of course, you do not pay attention to the body type, but more than 50% of 1 man vans with a load capacity of up to 5 tons are with tent platforms. Sending your possession on this type of car does not give the guarantee of safe delivery. The potential risk of a theft is very high due to possible actions of third parties. The tent platform do not close properly. Also it is not weatherproof and the water leaks can damage your precious things. 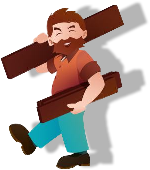 We are sure that if you use our man and van in London you will come back to us every time you need to shift some stuff from one place to the other. The speed is our main advantage. Not long ago the vans with a tail lift have become one of the most popular vehicles used by two men, driver and a van firms in London to carry out small deliveries and relocation jobs. The tail lift is mounted on the car wheelbase. It works similar to an ordinary lift (hence the name). The cargo can be lifted from the ground, reaching the level of the car and vice versa. The main advantage of this process is that the load is stationary and the lifting is smooth. The man van is accurate and ensure the rapid delivery with no shock and mechanical damage. It ensures the integrity of the delicate equipment and allows you to save cut costs. The nature of man van jobs may vary. It ranges from the delivery of just one box from one point to another to collecting goods from multiple locations and transporting them even to Europe. Our company is also interested in the transport services delivered to organizations on a permanent basis. We are happy to sign contracts and provide cheap and reliable 2 men and van solution tailored to the individual needs of every client. A mutually beneficial cooperation is give the stability that each business demands. For the sake of a long term contract we are prepared to significantly reduce the man and van costs. If you want to order a truck for 5 tons it could not be easier! The registration process will take no more than 20 minutes. We offer quality service and the guarantee of a friendly, responsible and conscientious attitude. Our men and vans are always on time, in good condition. Our corporate identity equals the accuracy and safety of driving with the rules on the road. Our drivers are always happy to help. We value our partners and are doing everything to ensure mutually beneficial both short term and long term cooperation.